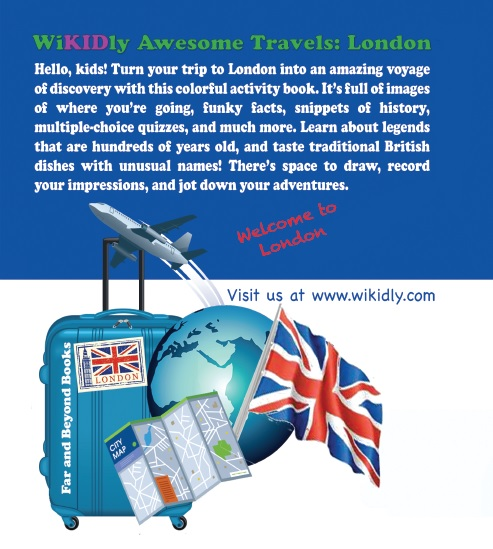 The kids are going to London! 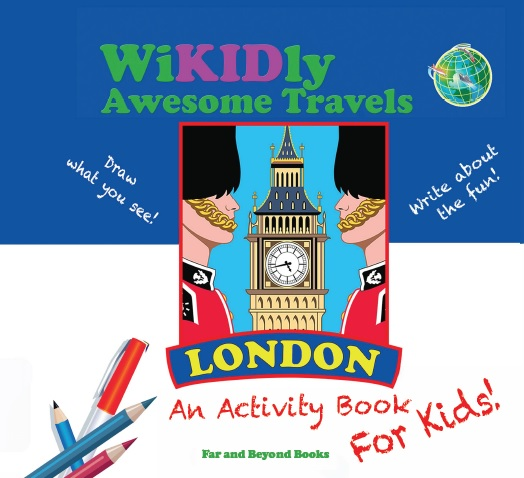 This colorful, 40-page activity book fits into any day bag and turns sightseeing into an amazing voyage of discovery. 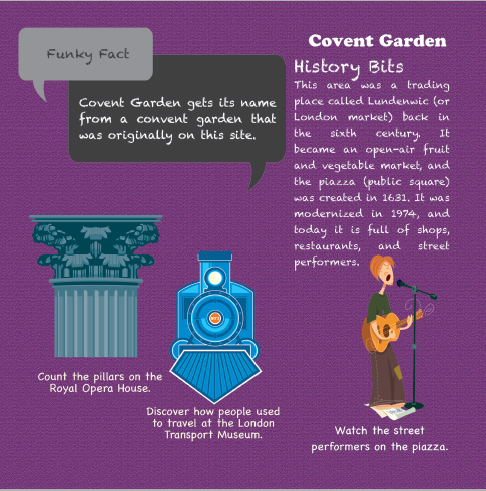 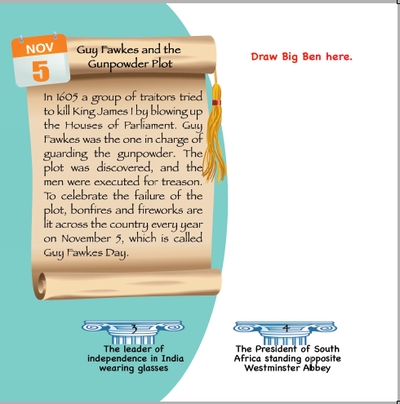 Put the fun into learning with funky facts, snippets of history, and multiple-choice quizzes. 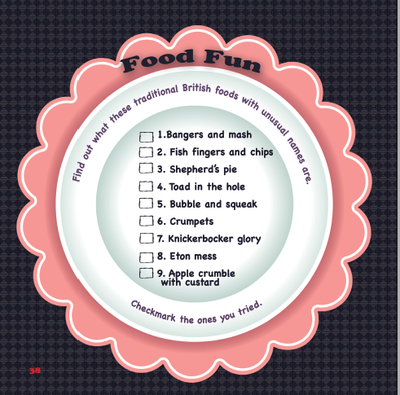 They’ll learn about legends that are hundreds of years old, and taste traditional British dishes with unusual names! Destinations include Buckingham Palace, Westminster Abbey, the Tower of London, and St. Paul’s Cathedral. 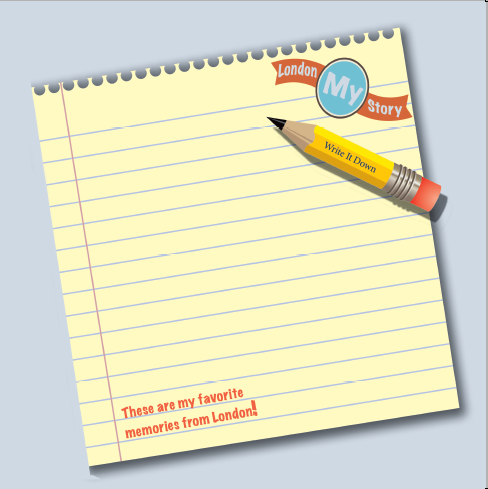 Kids will enjoy London’s great museums and fun-filled parks as well as a trip up the River Thames to Greenwich. Whether on a trip with family, friends, or school, this activity book is a must-have fun companion for young globetrotters. 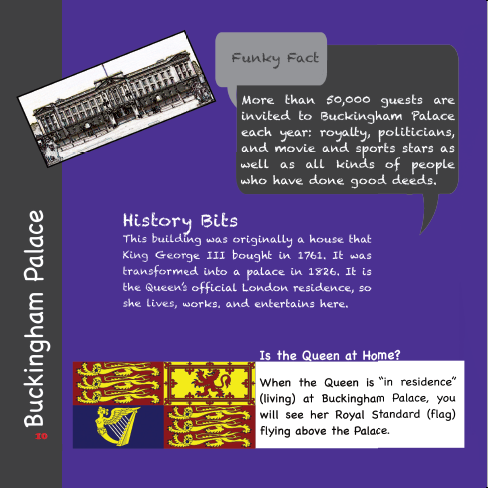 Discover whether the Queen is at Buckingham Palace today. 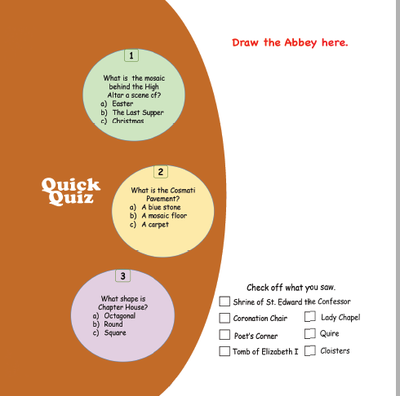 Take the quiz and check off what you see as you tour Westminster Abbey. Guy Fawkes and Big Ben will keep you amused at the Houses of Parliament & Parliament Square. 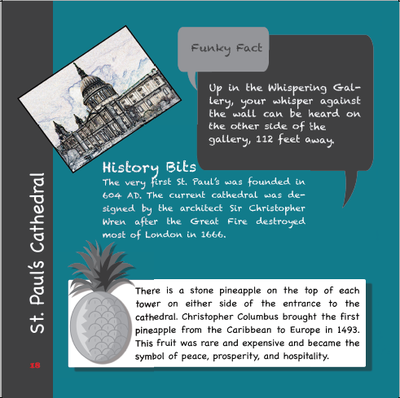 Visit the Whispering Gallery and check off what you saw at St. Paul's Cathedral. Watch street performers at Covent Garden. 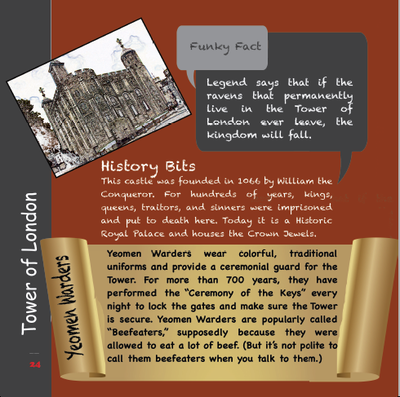 Learn of London's dark history and draw beefeaters at the Tower of London. 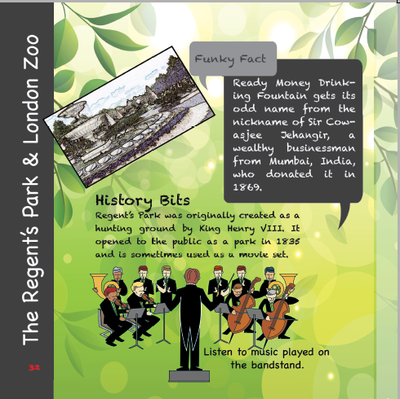 Listen to music or visit the zoo in The Regent's Park. Try these traditional dishes with unusual names! Write about your adventures at the end of you trip to London.